Book your Camino de Santiago trip now for 2017 with CaminoWays.com and get 10% off. Each year people from all corners of the world flock, in their thousands all with the purpose of completing the mighty Camino de Santiago. Each with their own motives and inspiration behind their journey to the Field of stars, Santiago de Compostela. Walking the Camino is a truly unique experience, not only for the beautiful scenery and the undeniable camaraderie along the way but for the sense of journeying that few other experiences can offer. On the Camino, all roads lead to Santiago, but which one will you take? The French Way is the route that has become ubiquitous with the pilgrimage. Setting off from St Jean Pied de Port in the Pyrenees and covering an impressive 800km on the way to the finishing point of Santiago de Compostela. While many valiant souls brave the route in its entirety each year, naturally this is not plausible for everybody. The Camino can be completed in various sections, starting and finishing wherever you please. 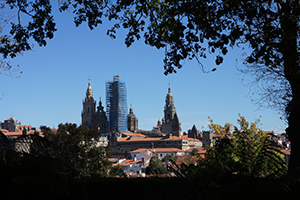 To receive the Compostela certificate, pilgrims must walk a minimum of 100km, the section from Sarria to Santiago covers 111km and is a popular choice among Camino enthusiasts with limited time. Price starts from only 504 pps (per person sharing) for 6 nights from Sarria to Santiago. (10% discount applied). Experienced pilgrims and those who have already completed the French Way may look towards the Portuguese Coastal Way for an alternative. A milder climate in this part of the Iberian Peninsula makes this an excellent choice for the summer months. 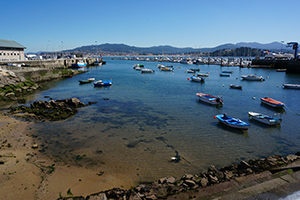 The route sets off from UNESCO-listed Porto, taking in windswept beaches and seaside towns and quaint fishing villages like stunning Baiona, in the heart of the Rias Baixas. The Portuguese Coastal Way then crosses over to Galicia finishing up in the enchanting city of Santiago de Conpostela to receive your Pilgrim certificate. For an authentic experience of rural France in all its glory, look no further than the Le Puy Way. The way sets off from Le Puy en Velay, rambling through the volcanic landscapes of Velay, past the medieval towns of Conques and Cahors and meandering through the Pyrenees mountains. The scent of freshly baked pastry will be your guide as you rove your way through villages and vineyards on the way to join the French Way to Santiago de Compostela at St Jean Pied de Port. This EARLY BIRD special offer also applies to other self-guided Greenlife Tours: FrancigenaWays.com the Camino to Rome and IrelandWays.com tours hiking in Ireland and cycling holidays on the Wild Atlantic Way. Camino self-guided tours are available all year round. 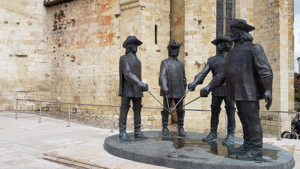 Contact the CaminoWays.com travel specialists for specific routes. Also available: Hotel upgrades are available in selected towns and cities, airport transfers, bike rental if you’d like to cycle the Camino. *Offer applies to self-guided Camino tours. Discount is applied to package base price. Dear Mike, thank you for getting in touch. Our customer care team will email you some details for the trip. Let us know if you need anything else. Kindest regards. need full price of port. way from chi. il. I would like to walk from Sarria to asantiago in April or May 2017. Hi Melanie, thank you for your message. I will pass your request to our travel team and they can send you all of the details for the Camino to Finisterre. Kindest regards, Lisa. Would like to walk Camino from Santiago to the sea. pax 2 late 50″s of age.